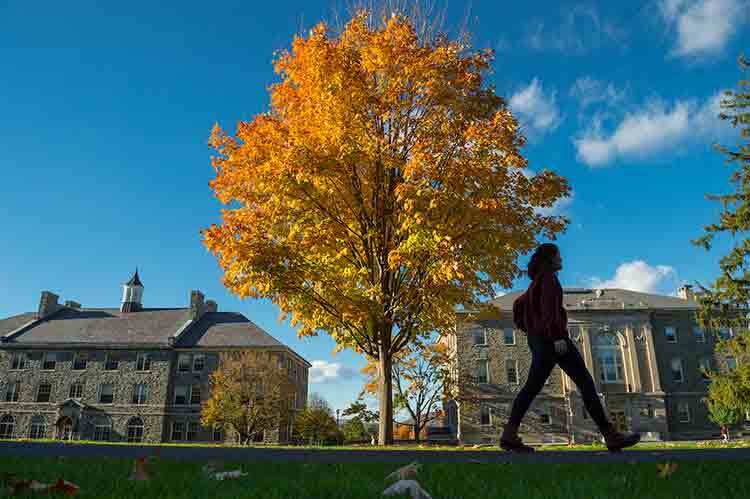 On this day 10 years ago, former Colgate President Rebecca Chopp signed the American College and University Presidents’ Climate Commitment, marking the beginning of Colgate’s formal pledge to reach carbon neutrality. The university remains committed to this goal and will achieve carbon neutrality in 2019, our Bicentennial year. November 7–9, 2018, Colgate will host the eighth annual State of New York Sustainability Conference with keynote speakers Robin Kimmerer, professor at SUNY ESF, and Kristina M. Johnson, SUNY chancellor. Read more about Colgate’s commitment to sustainability on 200.colgate.edu.